This is a visualisation of a concept that I’m thinking of developing into a piece of finished artwork. It’s a form of environmental sculpture. The work will consist of a conventional domestic rubbish bin with a black bin liner inside it. From most angles (as in the image on the left, above) the bin will look like any conventional bin: however when viewed from close up at the front (the image on the right, above) the observer will see that looking inside of the bin the blackness of the bin liner gives the impression of a dark void within the bin. Visible in the void will be a glowing representation of the earth. The effect will be of the earth suspended in the vastness of outer space. The bin will appear almost to be a portal to another dimension. The idea of a mundane rubbish bin containing a portal into outer space is very appealing. 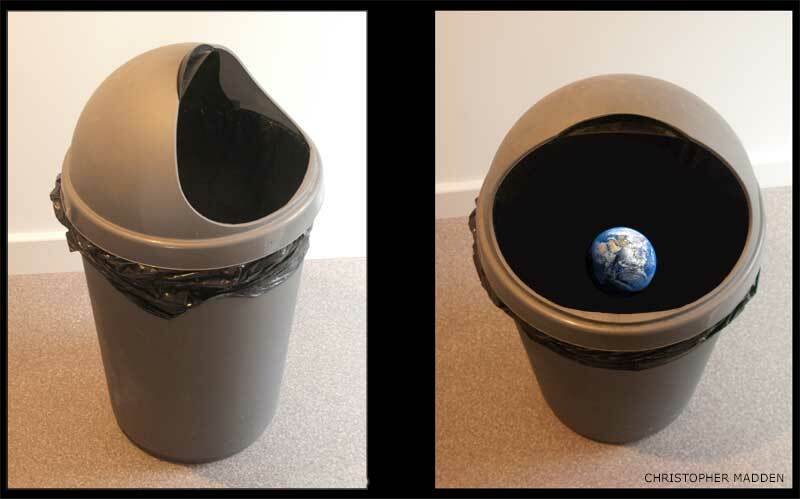 I haven’t yet decided how the representation of the earth in the bin should be realised. It could be a dimly glowing globe or it could be a digital display on a screen positioned near the base of the bin. The work is an environmental statement and carries an obvious message – that at the human race’s current rate of consumption of the earth’s resources we are treating the earth with contempt and are effectively placing the planet itself in the rubbish bin. The message is obvious because there is no time for subtlety here! Think of it as the sculptural equivalent of an environmental campaign poster. 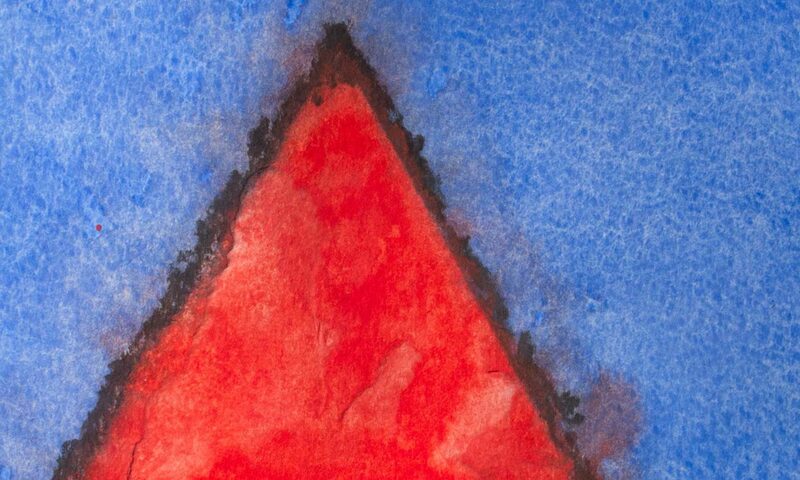 The work is a development of a concept that I had in about the year 2000, when I produced several drawings of the earth falling into a wastepaper basket. The sculptural potential of using a real rubbish bin to create an illusion of outer space is a more recent development. The emotional impact of seeing the earth floating in the black void of space inside the bin refers to some extent to the iconic photographs of the earth as seen from space as photographed by the astronauts in the Apollo moon missions. Work created January 2017, Cornwall.